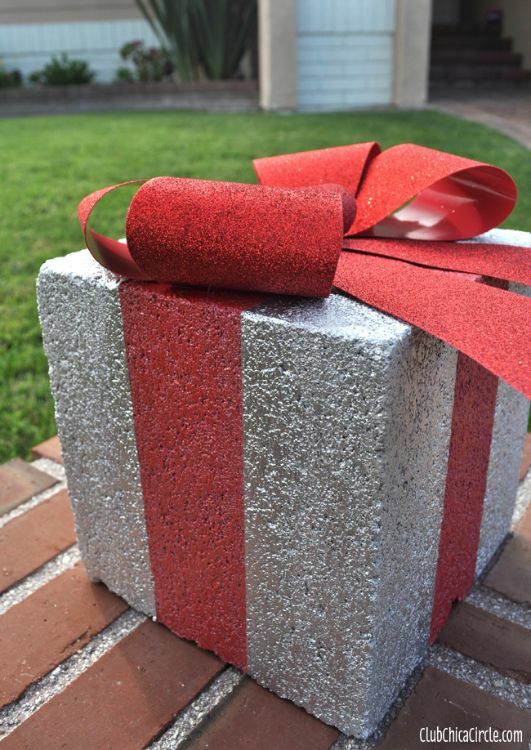 Concrete cinder blocks aren't known for their looks - instead, they're used for their durability. 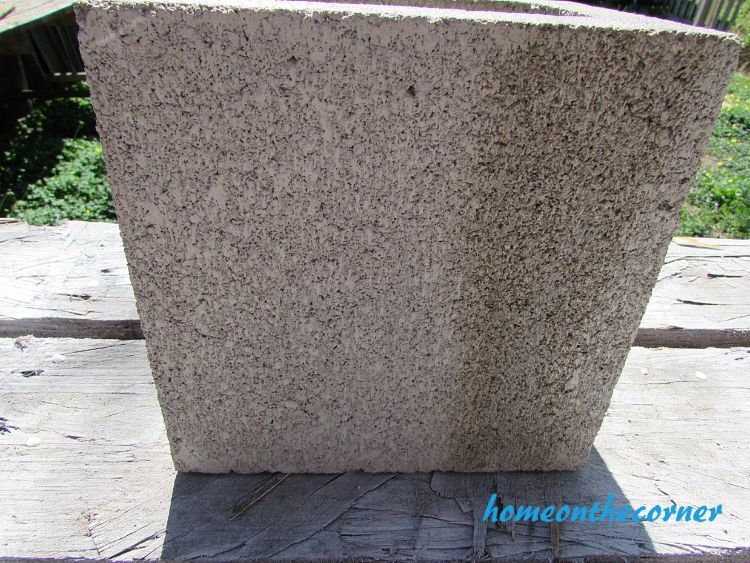 But, these cinder block DIY projects are going to have you thinking twice about how to use these sturdy, but not so good looking materials for your yard, or garden. All you're really going to need for these projects is some creativity - and some paint and plants. 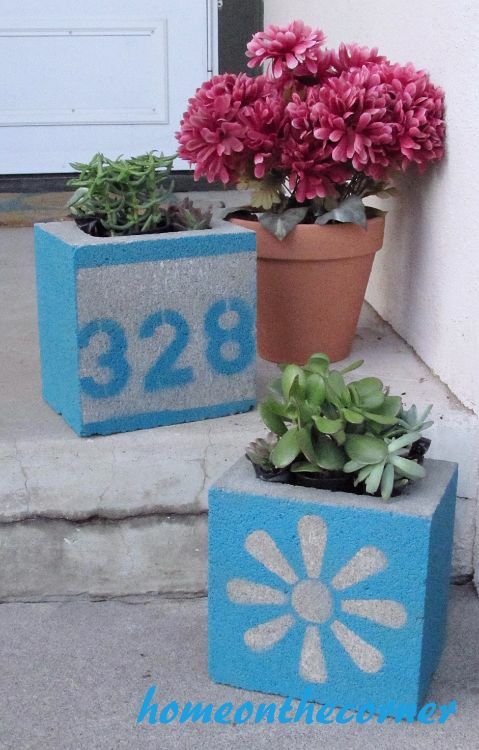 With a little elbow grease and the help of these DIY experts, you're going to transform ugly old cinder blocks into stunning centerpieces for your yard. This project is easy, fun, and something the kids might even enjoy. Plus, there's plenty of room to get creative. The mom and daughter duo from Home On The Corner cut out a flower stencil, and even did their house number on theirs. You can get artsy here and create some cool patterns, and use as many colors of spray paint as you want. Now this is gorgeous! We love how The Horticult gave this one a halloween theme - but you could really use it all year long. In the spring cover it in tulips, and in the summer stack your potted veggies and herbs all along it. This is a great feature for the patio, garden, or even the deck. This DIY by Grillo Designs is perfectly pretty and patriotic. All you're going to need is some paint and a steady hand - and before you know it you've got a great planter to last the summer. This is another project where there's room for creativity. 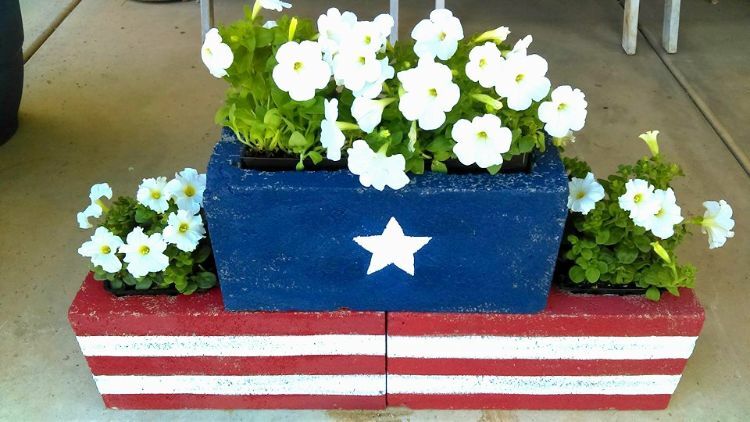 Paint extra stars on the top planter, or go with a different design altogether. Either way this stacked planter is going to look great. 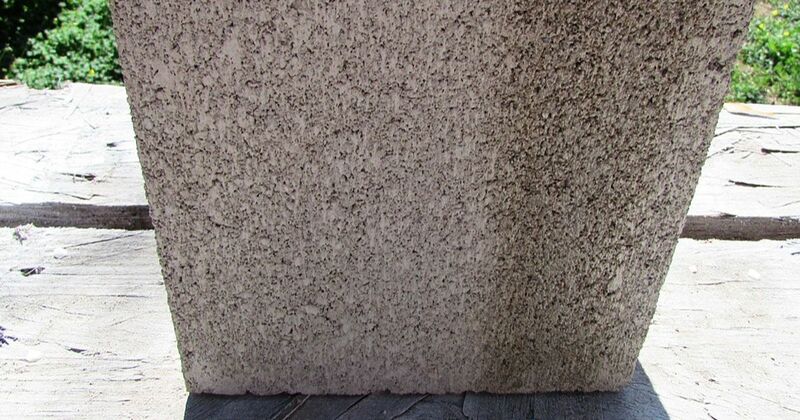 Create a totally customized and beautiful garden bed wall that's going to make your neighbors jealous. Sweet Moments in Thyme pointed out this DIY on their blog. All you're going to need is cement blocks for the base, concrete to cover them, and then your favorite tiles. 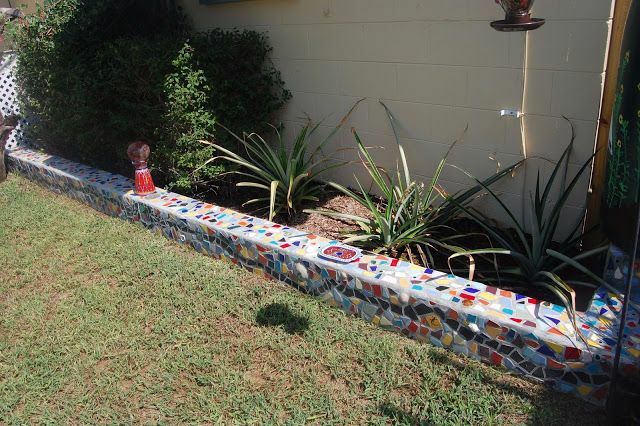 Use broken tiles like they did here, or smaller tiles would work too - as would seaglass if you have enough. We adore this DIY by Club Chica Circle. This is a great idea for the holidays and to spruce up your front porch or walkway in the cooler, more bare months. You could also put the bow on the front side, and let a tiny little pine tree poke out the top - or even some holly. No need to shell out a handful of cold, hard cash at Pottery Barn for a beautiful plant bench or outdoor bar table. Instead, make it yourself. 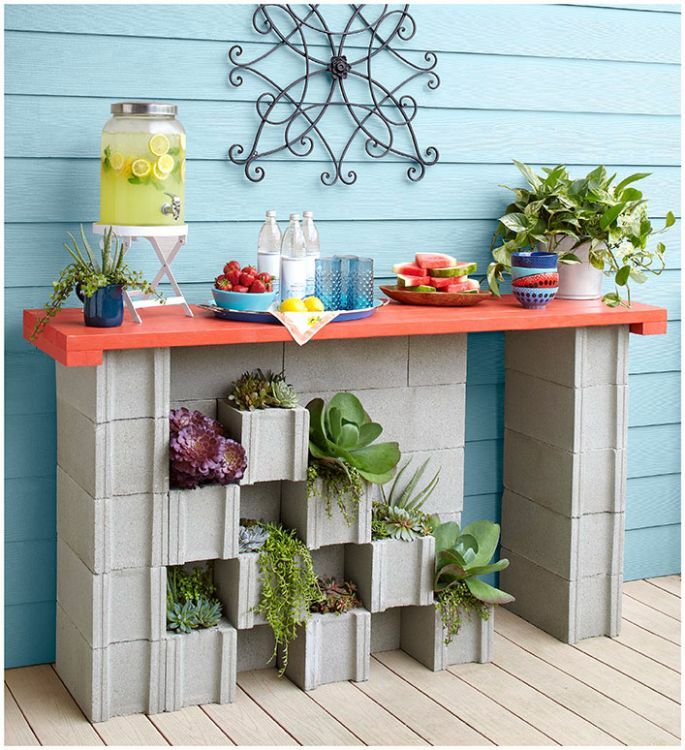 All you're going to need for this Lowes DIY is some concrete blocks, a wooden top painted in your favorite color, and some beautiful plants to fill it up. Would you try any of these at home? 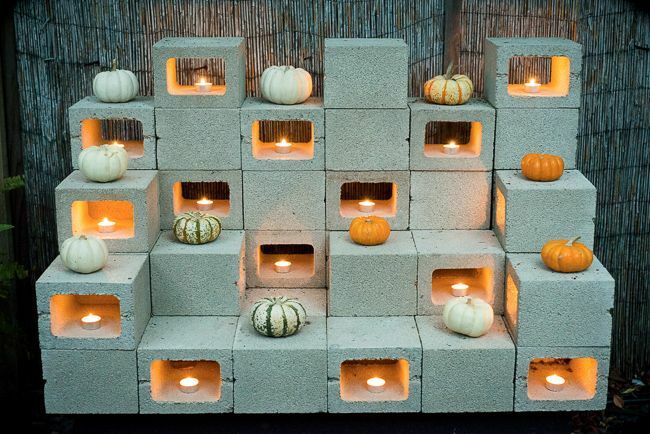 Tell us in the comments and make sure to share if you loved these cinder block DIYs as much as we did.